Also, for the accents, I forgot to mention I bought oversized wooden initials for LO (about 2 feet tall) that I painted glossy white to hang on one of her walls. I'll probably incorporate some pink ribbon somehow with the letters, just to add to the "girliness" of her room. Lest anyone forget, this is the coveted furniture I'm waiting ever-so-patiently to receive ("Madison" by Legacy Classic Kids). 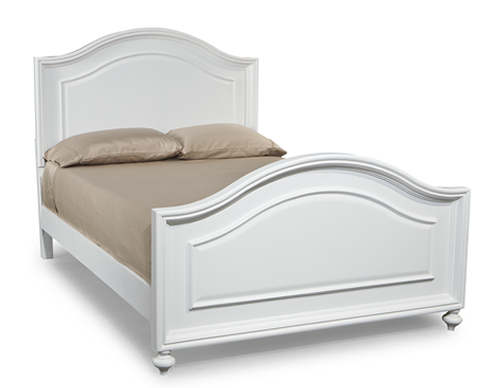 We were told 3-6 weeks back when we ordered it IN DECEMBER, but were then told 12-14 weeks when the furniture company ordered it and found that the bed was still in production. Grrrr... She's a beaut, though, and hopefully worth the wait! We've looked into Every. Single. Other. Option. Under. The. Sun. and I never found anything that I loved even half as much as this furniture, so we really had (have) no choice but to wait. And as another refresher, this is the Brigette Ruffle Quilt and Lucy Ringmaster Sheeting (both from Pottery Barn Kids) that I selected. Please note the cute gold star accent pillow... I really liked the idea of the accent pillow but the gold color and star theme had no place in her new room. More on that in a bit. So back to my many projects that have been occupying my time while I impatiently wait for her new furniture to arrive. I hand-painted this little coat rack and wooden accent pieces, then put it all together for her to have a place to hang her hoodies, purses, what-have-you. On the wall above the hooks will be a white shadowbox containing her precious Teddy, the lovey she used to have when she was a baby. I don't have that project complete yet, so no pics. ;) And yes, "S" stands for "LO." I LOVE LOVE LOVE this huge 2 ft. by 3 ft. poster board print I made to hang on the wall over her bed. I think it's gonna look great! So while we ordered the "big stuff" from the furniture store, we nabbed a night stand from my good friends at Amazon. I replaced the drawer pulls with hand-painted horseshoe pulls instead. I love how cute this looks! See the cuteness?? On a side note... should horseshoes be pointing up or down? I so don't know. This is a little iron star that I painted a gloss white to hang over her doorway. Please pardon the photo on our gym floor... just wanted to be sure it stood out. Again with the gym flooring... Anywho, this is a little metal guy that will hang over her closet door. I also painted it a gloss white. If you follow me on Twitter/IG, you would've seen this lovely little runner I made for her dresser. 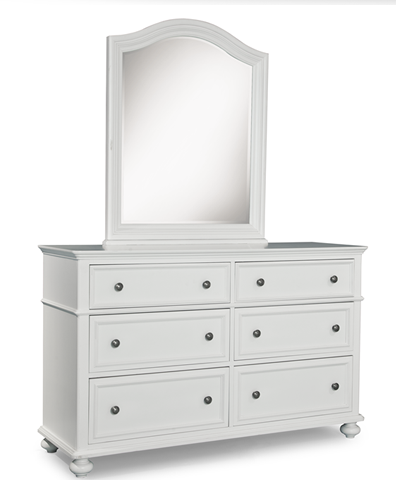 I got to thinking that the white dresser is a LOT of white, and it'd need a nice splash of color. I love how it turned out! Here's a little accent tray I hand-painted and stenciled to keep on her new dresser, too. I figure it can hold jewelry, hair bows, hair clips, etc. I couldn't not pick up this resin cowgirl boot from Hobby Lobby, especially since it was 50% off! I haven't decided for sure yet, but this will either be a bank, a vase with some faux flowers, or whatever else my imagination can come up with. 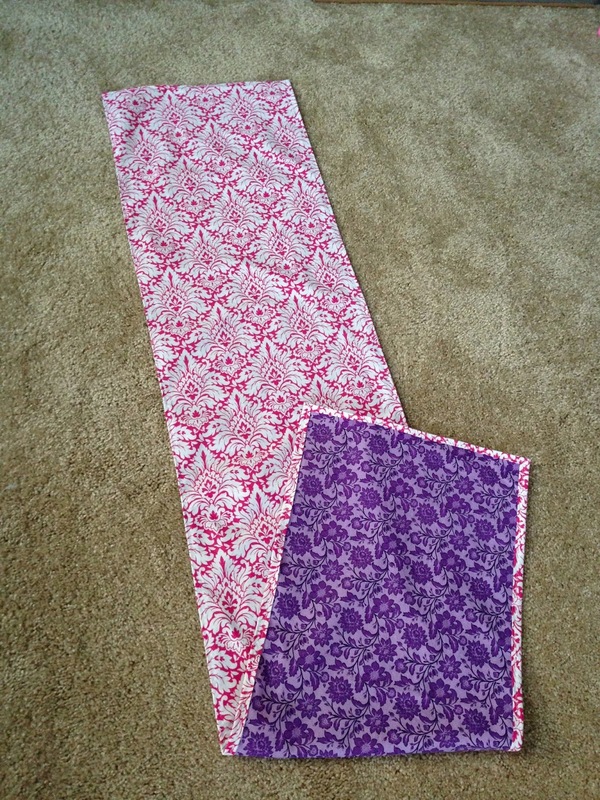 I also picked up a few accent candles in pink and lavender for her dresser and/or nightstand. Remember that gold star accent pillow I mentioned above from PBK? 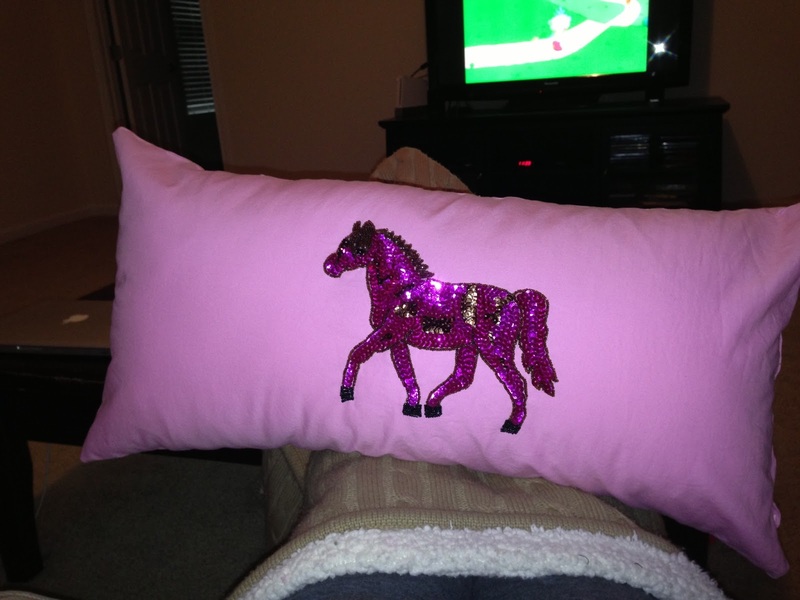 Ya, so I loved the idea of an accent pillow but didn't have any place for a gold star in my girl's new horsey room. SO... I purchased a similar-sized pillow form and sewed a pillowcase--complete with a zipper on the side! My first zipper and it was way easier than I had expected. I knew I wanted something "horsey" on it, so I ordered this $10 sequin appliqué from some website, and it shipped from Hong Kong! Took about a month to get here but it was worth it. 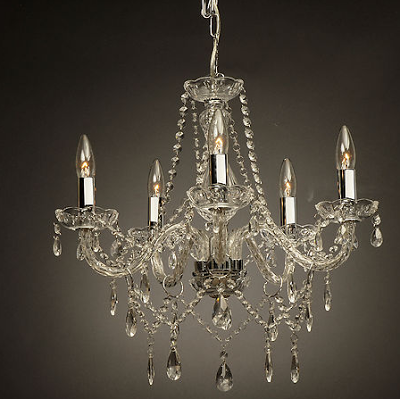 I personally think it's a bit flashy/ghetto, but honestly I think it's gonna be one of LO's favorite things about her new room! I wasn't sure how to attack an appliqué, so I used fabric glue (which worked wonderfully, I might add) and followed it up with stitching around the edges with transparent thread. It worked out perfectly and is very secure. I love it! 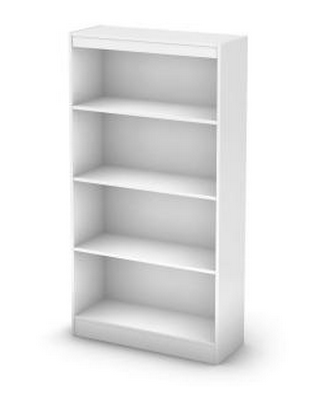 So the only real "project" left for LO's room (that I can actually do before the furniture arrives), is to purchase this super simple bookcase from Home Depot and jazz it up a bit. 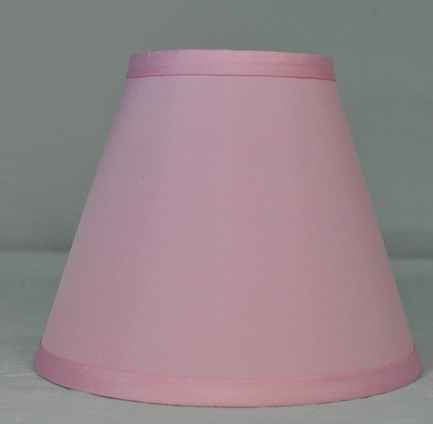 I purchased beadboard paper that will go on the back wall of the bookcase that I *might* paint purple, and I'm also planning to add decorative moulding around the top and bottom of the bookcase. It's gonna be super cute! 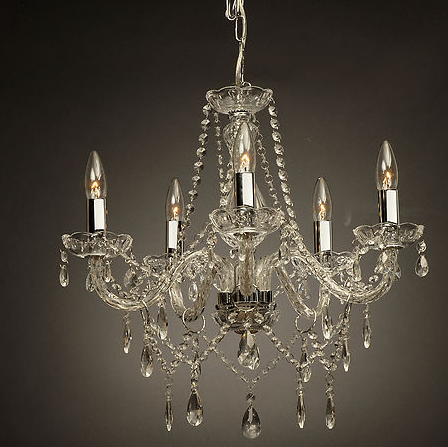 Of course, I should also mention I ordered the new 5-light chandelier for her room from eBay. Check it! I plan to add these cute little shades, too. So there you have it. A little inventory of the fun little art projects I've been staying busy with while waiting for LO's furniture to arrive. I'm super excited about her new room! I'm more excited about putting her new room together than getting the baby's nursery done -- isn't that crazy?! I guess I know the baby will bunk in our room 'til he's a few months old, so there's no major rush. That's what I keep telling myself anyway, even though I really wish I could be washing his clothes, blankets, etc. and putting them away into his dresser that is currently in use in LO's room. ARGH for my lack of patience sometimes!!! Haha! !